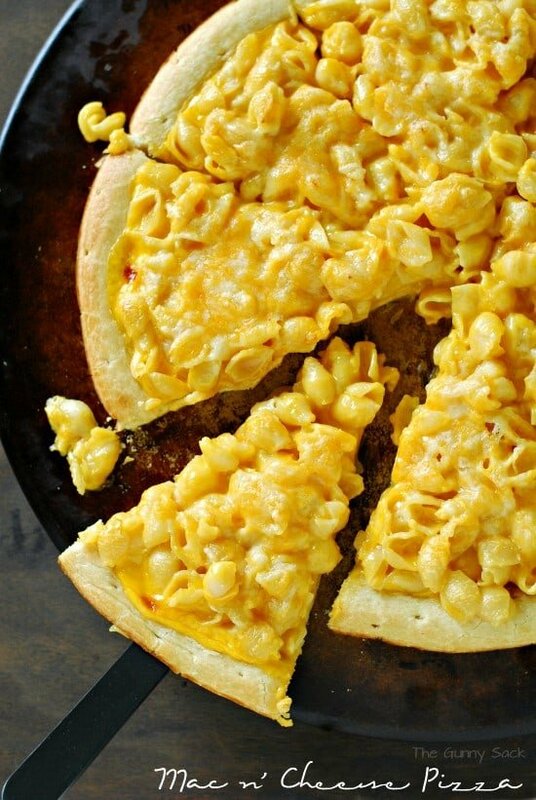 Take pizza night to the next level with Macaroni and Cheese Pizza. 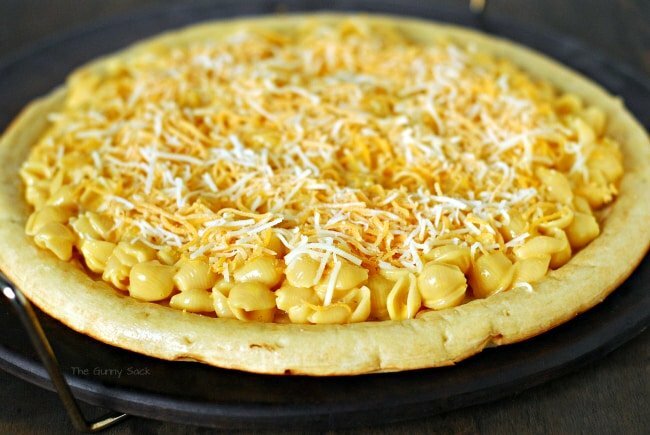 This mac ‘n cheese pizza recipe is easy to make for a fun family dinner! Do you love cheese as much as we do? There’s nothing like a bowl of warm, comforting macaroni and cheese. It is the first meal Brian ever made me. While we were dating, he told me about how his mom would make him homemade mac n’ cheese that was extra creamy, almost like cheesy soup. I had never eaten macaroni and cheese like that so one evening he made it for me and it was delicious. Since pizza is another one of our favorite things to eat, I combined the two and made macaroni and cheese pizza! Start by making three cups of macaroni and cheese. I was in a hurry so I made a boxed version of macaroni shells and cheese instead of making the homemade version. Once box made three cups of mac n’ cheese. Add three slices of American cheese and 1/4 cup of milk to make a little more cheese sauce. Place a premade pizza crust on a pizza pan and brush with olive oil. Or if you have the time and the ingredient, make a homemade pizza crust. Spread the macaroni and cheese on the crust and top with 1/2 cup of shredded cheese. 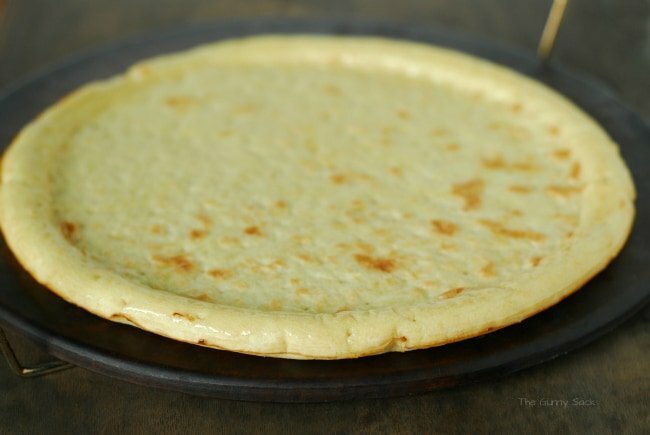 Bake at 450 degrees for 7 – 10 minutes (or longer depending on who golden you want the cheese to be). There is a restaurant near our house that makes Macaroni and Cheese Pizza. When we tried some of it recently, we all agreed that my version is way better than the restaurant version! If you are looking for Macaroni and Cheese Pizza toppings, the restaurant offers bacon as a topping, as well as sliced corn dogs! What Else Can I Make With Macaroni and Cheese? I hear you loud and clear because we love macaroni and cheese too! Try one of the following recipes next. Bacon Mac and Cheese Bites from The Gunny Sack: This Bacon Mac and Cheese Bites recipe is a cheesy appetizer that everyone loves. Make for your next party or surprise your family with these for dinner! Bacon Mac and Cheese Egg Rolls from Miss In The Kitchen: Bacon Mac & Cheese Egg Rolls for Mac & Cheese Mania! Creamy mac and cheese with crispy bacon is wrapped up in an egg roll wrapper, deep fried to perfection and is the best snack ever when dipped in barbecue sauce! Grilled Macaroni and Cheese Sandwiches from The Gunny Sack: A Grilled Macaroni and Cheese Sandwich is the ultimate comfort food! Serve these sandwiches with tomato soup as an easy family dinner recipe. Mac ‘n Cheese Balls from The Gunny Sack: Mac ‘n Cheese Balls are the ultimate comfort food! Flaky biscuits, filled with macaroni and cheese, are a perfect party appetizer or kid friendly dinner. Take pizza night to the next level with Macaroni and Cheese Pizza. 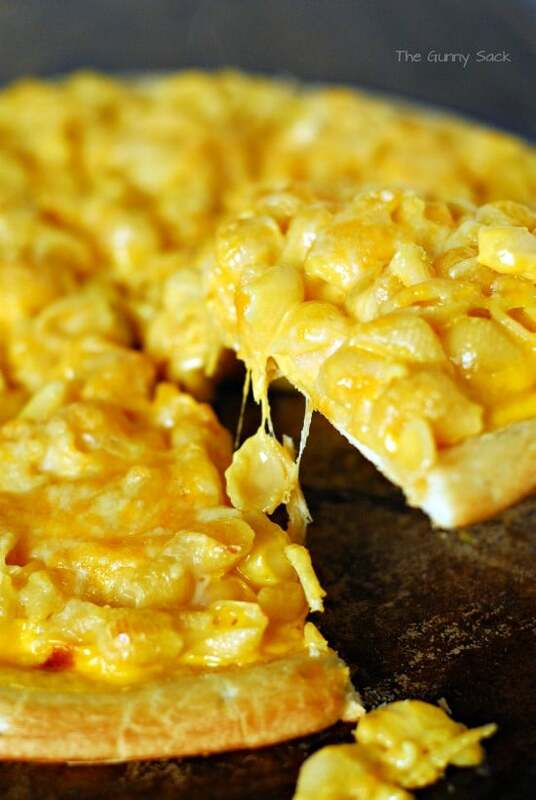 This mac 'n cheese pizza recipe is easy to make for a fun family dinner! 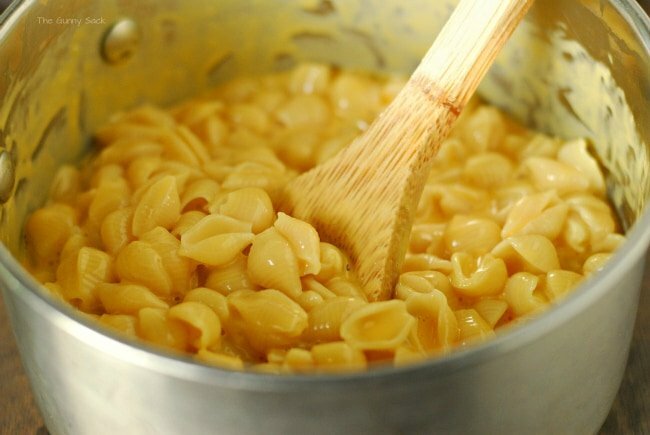 Start by making the macaroni and cheese so that you have three cups. If making the boxed kind prepare it according to the package. Or make homemade mac n' cheese, if preferred. Add 3 slices of American cheese and 1/4 cup of milk to make a little more cheese sauce. Stir over low heat until melted. Top with macaroni and cheese. Sprinkle with shredded colby jack cheese. The nutrition facts are per serving. We tried a bbq version and it was fantastic. We preferred it over the regular version. I just spread our fav bbq sauce (swt baby ray’s) over the mac and cheese and then put some shredded mozzarella on top before sticking it in the oven. In the future we are thinking of trying a veggie version with some veggie crumbles (grillers) mixed in with the mac and cheese and bbq sauce and perhaps a meaty version with sausage chunks. We used shredded cheese instead of cheese slices and added a little more milk. It was delicious. I love this idea! This Pizza Is Not New !! Ci-Ci’s Pizza Has Been Making This For Over 30 Yrs. That I Know Of !!!!! My son asked me to make this for dinner. He had it from a local pizza place. He claims I did a great job. Would make it again based on the smile on his face !!!!! Thanks for the recipe . I pinned it on Pinterst . I had macaroni and cheese pizza once at a restaurant and have been looking to recreate it…I think I’ll try this base recipe but we also added dried cranberries, pineapple, and crumbled feta cheese. It was delicious! Although I think we used mozzarella cheese…so I’m not sure how it’d taste with cheddar. Anyways, just some ideas! I just tried this for dinner, it was delicious! We added Parmesan cheese to the crust and then on top of the pizza and it was amazing! Thanks for the recipe! CiCi’s Pizza has this and I love it. So different from traditional pizza, but delicious. Going to add ham chunks next time I eat it. Great idea! I will have to give that a try too! OMFG THEY HAVE THIS AT CICI’S?!?!?! WHY DOES NOBODY EVER TELL ME ANYTHING!?!?!?!?!?! THIS IS MY 14TH BIRTHDAY DINNER!!!!!!!!!!!!!!! Tried this a couple days ago, and it was okay, needs something on the crust! There was no taste! We love macaroni and cheese and pizza so this sounds perfect for us! Great idea to combine the two! Ding! Ding! Ding! And we have a winner! What a fantastic pizza Tonia!! Thanks Trish! My kids want it every week! My boys would go crazy for this one!! YUM! They sure would! My husband went to a small pizza place last week and they had a really good Mac n’ Cheese Pizza. I can’t wait to go try it out! Oh my god, I’ve got to try this. It’s carbs with cheese and carbs with extra cheese. You’re speaking my love language. Brilliant! Oh yeah! I hear ya! Thanks Renee! THis is AMAZING! My kids would go gaga over this! Thanks so much! My kids love Mac n’ Cheese pizza! Yay! Some more mac n’ cheese pizza fans! Thanks Kim! Oh wow, Tonia! You are knocking my socks off, girl! Such a genius idea for a pizza! 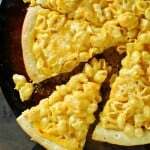 I have never tied a macaroni and cheese pizza, but yours looks so good. Will definitely have to give this recipe a try! If you love mac n’ cheese, you will have to give it a try! Thank Kaylene! I have always wanted to try this Tonia!!! 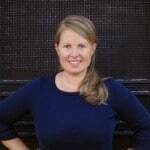 I’m so glad you did this, now I’m brave enough to try it out on my family! It was so easy to make! The first time I made it, I didn’t add the extra milk and cheese so it was a little drier but with the added cheese and milk it was perfect. I think the restaurant put a little alfredo sauce on the crust before adding the mac n’ cheese. Even though I LOVE alfredo, I felt that it took away from the cheesy flavor of the pizza. Ahhh this looks terrific. Two of our faves in one! Thanks Julie! I have to agree with you! My youngest absolutely loved mac and cheese pizza! Yours looks amazing! but what I would do was to use Velveeta & White Cheddar cheese. in order to remove the Starch. While the Macaroni was boiling I would slice the Velveeta & the Cheddar Cheese. Repeat on the second row,but do two rows of Cheddar with the Velveeta down the middle also the four pats of Margarine or Butter. Bake at 450% for 30 minutes or until Cheese is golden brown. Wow Anna! You’ve got my mouth watering with your recipe. It sounds like a glorified Macaroni and Cheese Lasagna! I will make it for my family and let you know how it turns out. Thank you!